Mount Snow is wild with nightspots, discos and live band entertainment and more…the swinging night life and fun doesn't stop till you do. Group Organizer will receive ONE FREE trip on 20 paying. 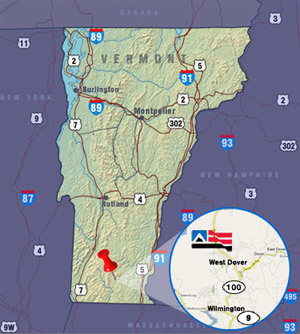 LOCATION: Located only 29 miles from Interstate 91, Mount Snow is Vermont�s closest big mountain to Northeast metropolitan areas. Mount Snow is in the Green Mountain National Forest and operates under a special use permit from the U.S. Forest Service. AIR TRANSPORTATION: Airports close to Mount Snow include Albany International Airport; Bradley International Airport in Hartford; Logan International Airport in Boston; and the regional airport in Keene, New Hampshire. Additionally, the Mount Snow Airport is available for small planes, call 802-464-2090 for information. TUBING PARK: All ages! Located at Mixing Bowl, just below the Grand Summit Hotel. 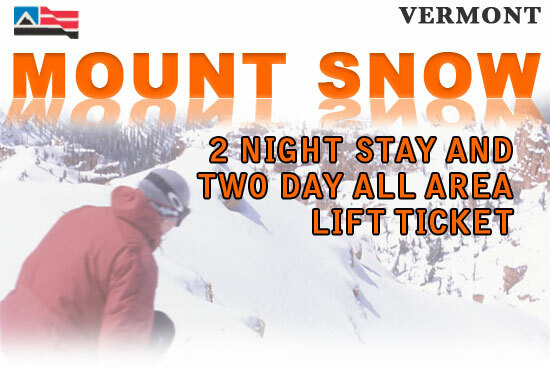 Serviced by a covered �magic carpet� lift, open under the lights on scheduled evenings. SNOWSHOEING: Specially marked on-mountain trails open every day, weather permitting. SNOWMOBILE TOURS: Guided tours through the Green Mountain National Forest available daily from High Country Snowmobile Tours. CROSS-COUNTRY SKIING: Offered at several locations throughout the valley, including Timber Creek, located directly across Rte. 100. 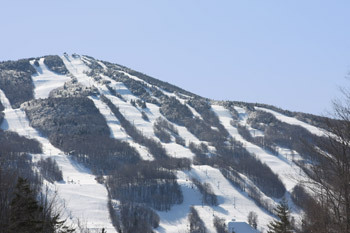 LODGING FACILITIES: Mount Snow owns and operates the 200-room Mount Snow Grand Summit Resort Hotel and Conference Center and the 100-room Snow Lake Lodge and also manages several condominium complexes within the base area. Within the Mount Snow Valley, guests will find a variety of accommodations, from Vermont country inns to ski lodges and motels. The Mount Snow Valley bed base includes approximately 10,000 beds. ON-MOUNTAIN FACILITIES: Mount Snow Grand Summit Resort Hotel and Conference Center; three base lodges; one summit lodge; Clocktower Building with equipment rental and repair shop, guest services and child care; Medical Center/First Aid building; Mount Snow Ski and Snowboard School; ski shops; Backside snowboard shop, food outlets and bars. 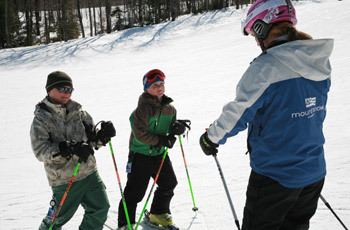 SKIER AND SNOWBOARDER PROGRAMS: The Mount Snow Skiing and Snowboarding School features programs for all ages and ability levels, with its own building, learning terrain and lifts. Other programs include Cub Camp, for 3-year-olds; Snow Camp for ages 4-6; and Mountain Camp/Riders for ages 7-14. 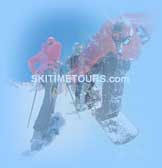 Group and private clinics are available for adults of all abilities, from beginners through advanced skiers and riders.